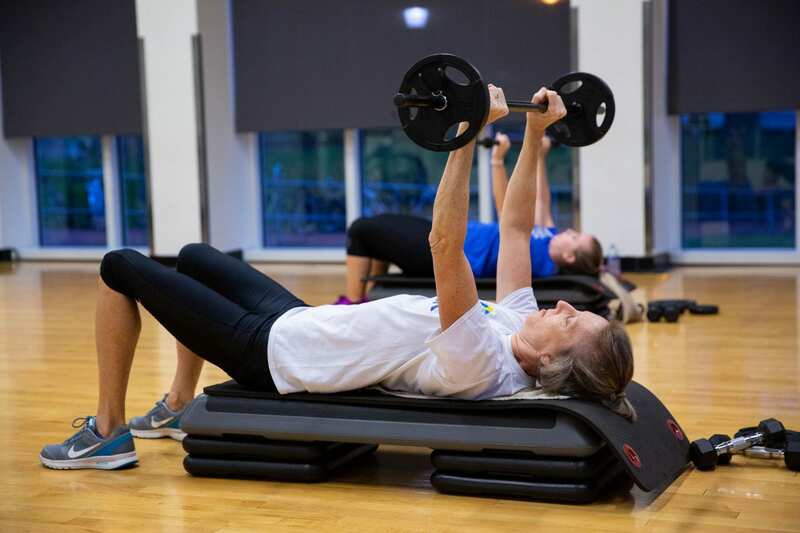 With purchase of the All-Access Membership, employees, retirees, and their spouses may participate in unlimited fitness classes per fiscal year. Schedules will vary by semester, with modified schedules during holiday breaks and finals-week. 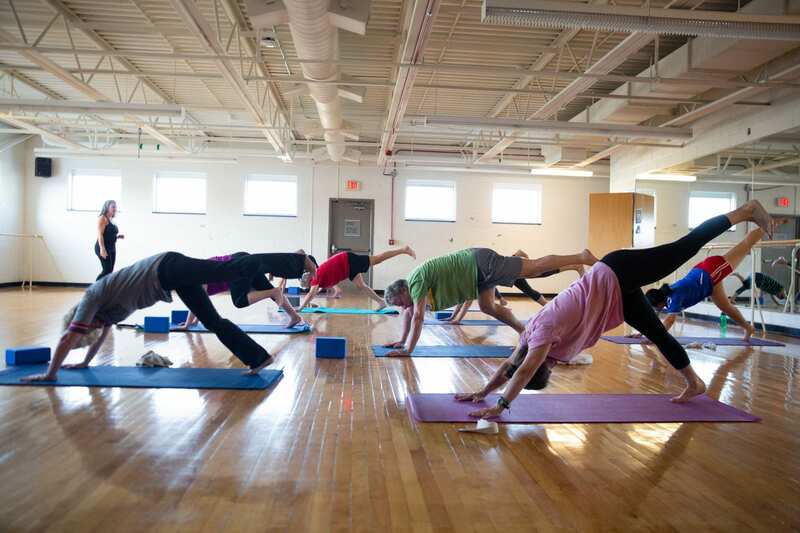 Please check periodically for “pop-up” classes, class cancelations, and changes to schedule. 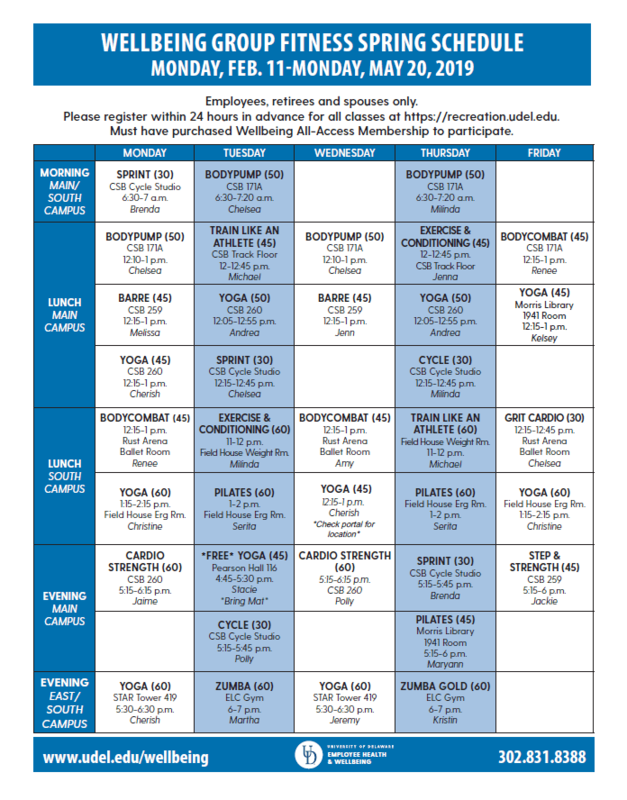 Please register for fitness classes within 24 hours of start of class using the Recreation portal (https://recreation.udel.edu) under “Employee Health & Wellbeing”. 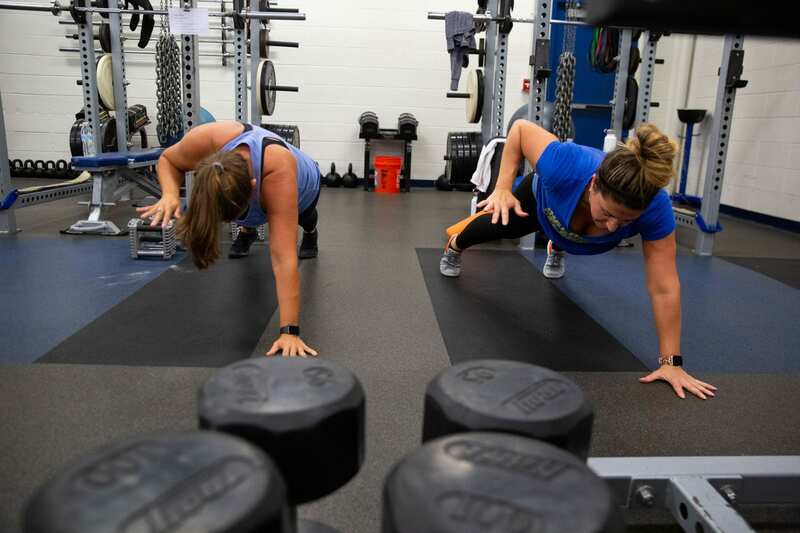 TRAIN LIKE AN ATHLETE/ EXERCISE & CONDITIONING AT THE LIL’ BOB! 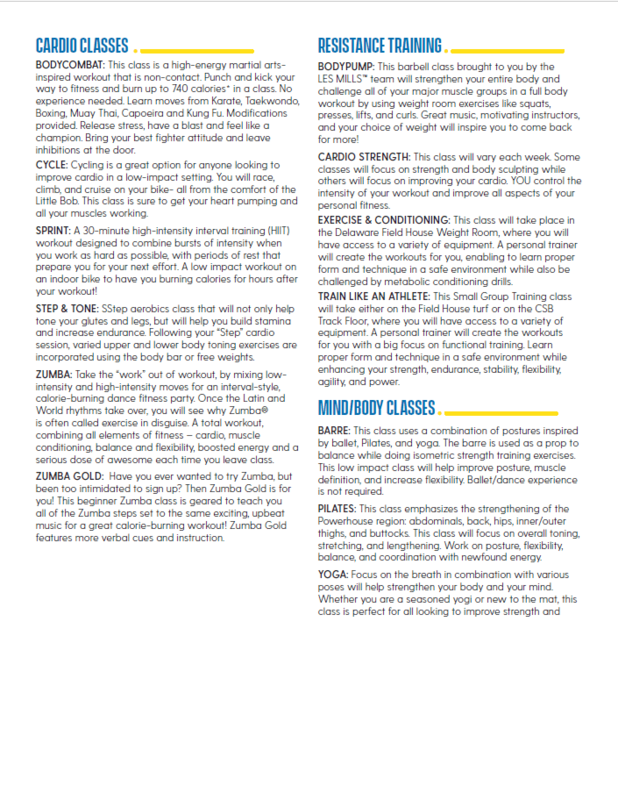 Try out our bootcamp classes that tale place on the track floor of the Lil’ Bob on Tuesdays & Thursdays from 12-12:55pm. 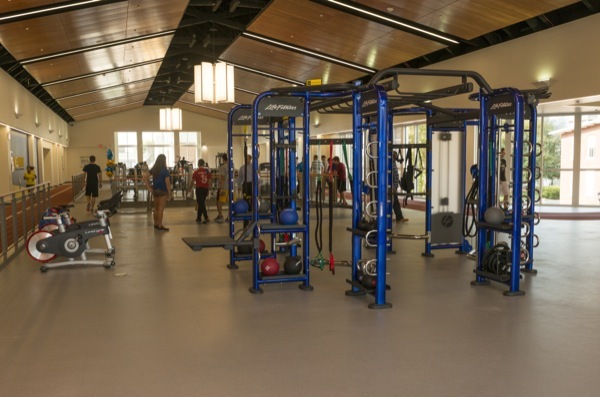 Both classes are supervised by a personal trainer, who will provide the workout, correct form, and push you from beginning to end! Registration required within 24 hour window before start of class.